Designed with photographers, videographers, and creative professionals in mind, the SanDisk Extreme 510 Portable SSD combines the performance of a portable SSD with all-terrain durability and water resistance.3 Perfect for your next trek or on-location shoot, this truly portable SSD clips to your bag or fits conveniently in your pocket. With 480GB capacity and read speeds of up to 430MB/s, your transfer times are dramatically reduced, even when moving your highest-res files.1 The tough, water-resistant SanDisk Extreme 510 Portable SSD includes 128-bit encryption for password-protection2, making it a must-have for making it a must-have for your most important files. 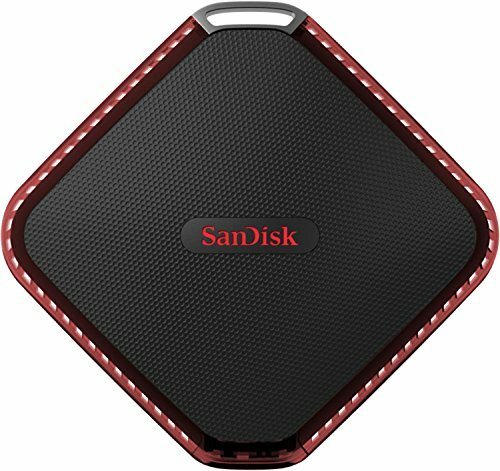 SanDisk SecureAccess software encrypts private files.The SanDisk Extreme 510 Portable SSD requires only a small amount of power through the USB 3.0 port-no need to carry additional power cords.